The calendar can display site, course, group and or user events in addition to assignment and quiz deadlines, chat times and other course events. 1. 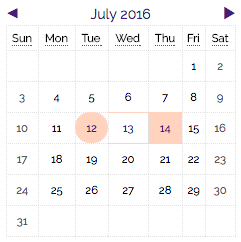 Log in to Moodle and click the Month and Year button at the top of the Calendar Block. 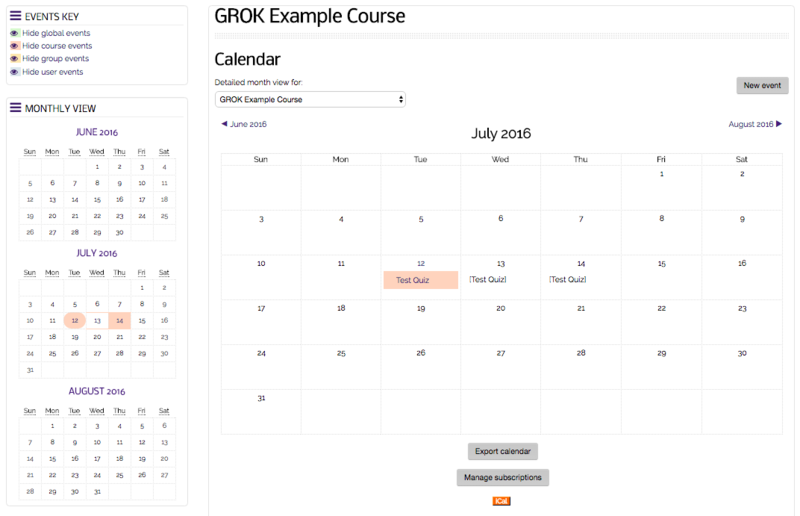 The Calendar Block is found on the top right-hand corner of your Moodle Homepage. 2. The following image is a full view of your Moodle Calendar with all of your edit options. The Events Keys Block is found on the top left-hand corner of the page. 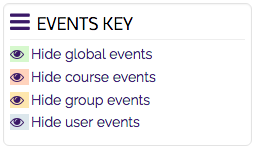 The Moodle Events Key allows you to choose which type of events you wish to view on your calendar. To change what is showing, click Hide global events, Hide course events, Hide group events, or Hide user events. NOTE: In this Example the User event is the only type of Event that is being displayed.